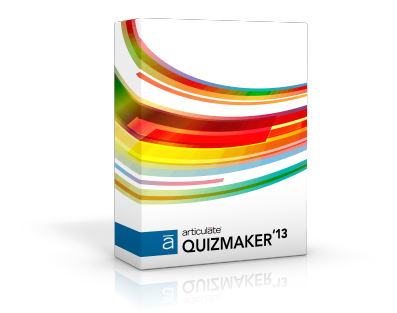 Welcome to the Articulate Quizmaker '13 user guide! Learn how to create quizzes for your online courses. Quizmaker has been redesigned with a streamlined user interface, support for custom quiz sizes, more media options, and additional question types. And with options for importing questions from spreadsheets and text files, it's never been easier to create beautiful, dynamic assessments. Create standalone quizzes, or insert them into courses you've created with Articulate Presenter and Articulate Storyline. Publish to Flash, HTML5, and the Articulate Mobile Player app for iPad to give learners a wide array of viewing options. Easy! Find detailed documentation on this page for all Quizmaker features. To get started quickly with the basics, see our brief video-based tutorials here. If you have questions or need advice, tap into the superpowers of the Articulate community by posting in the Quizmaker forum. You’ll find thousands of Articulate users and staff ready to help.